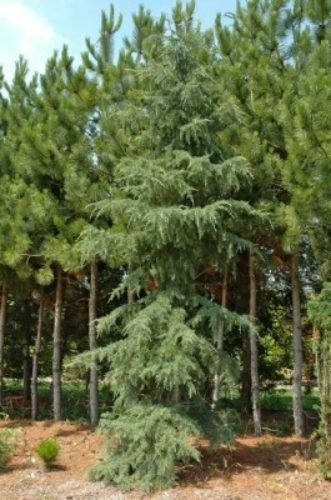 Cedrus deodara 'Polar Winter' is a tree form of Himalayan cedar selected for its exceptional winter hardiness. Description, form and size are virtually the same as the species. 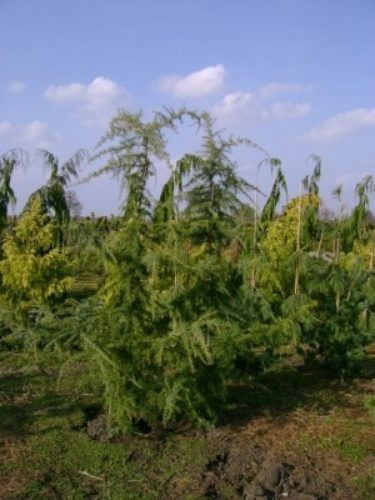 Typical expected growth rate is around 1 foot (30 cm) a year, resulting in a young tree, 10 feet tall by 4 feet wide (3 x 1.2 m) after 10 years in the landscape. Günter Horstmann of Scheverdingen Germany selected the seedling that was to become 'Polar Winter' from a group of young trees grown from seed harvested in Paktia Province, Afghanistan in the late 1970s. Cedrus deodara 'Polar Winter' at the Smits Pinetum, Lottum, The Netherlands.